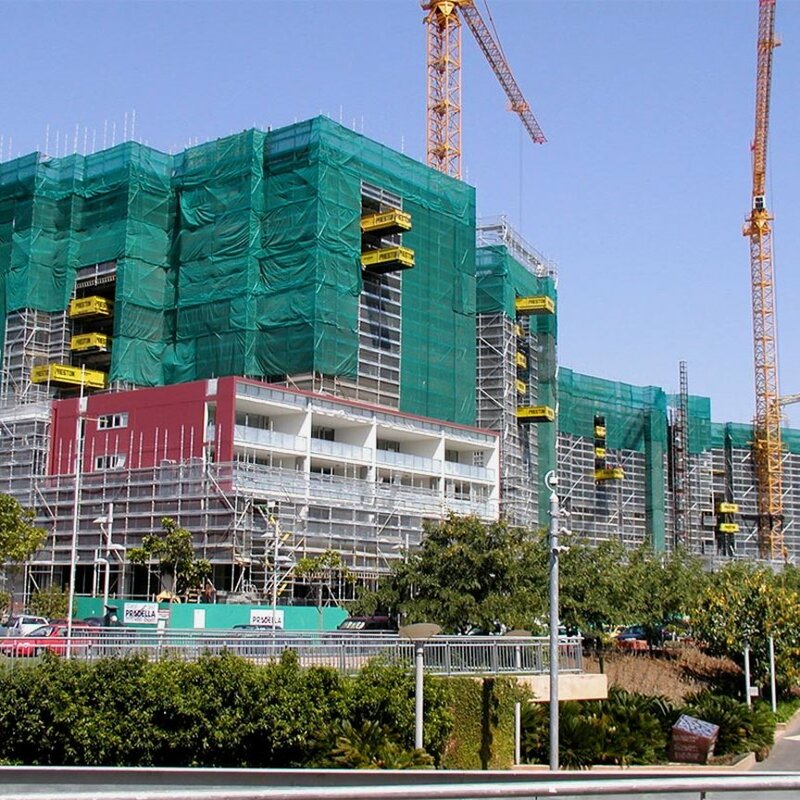 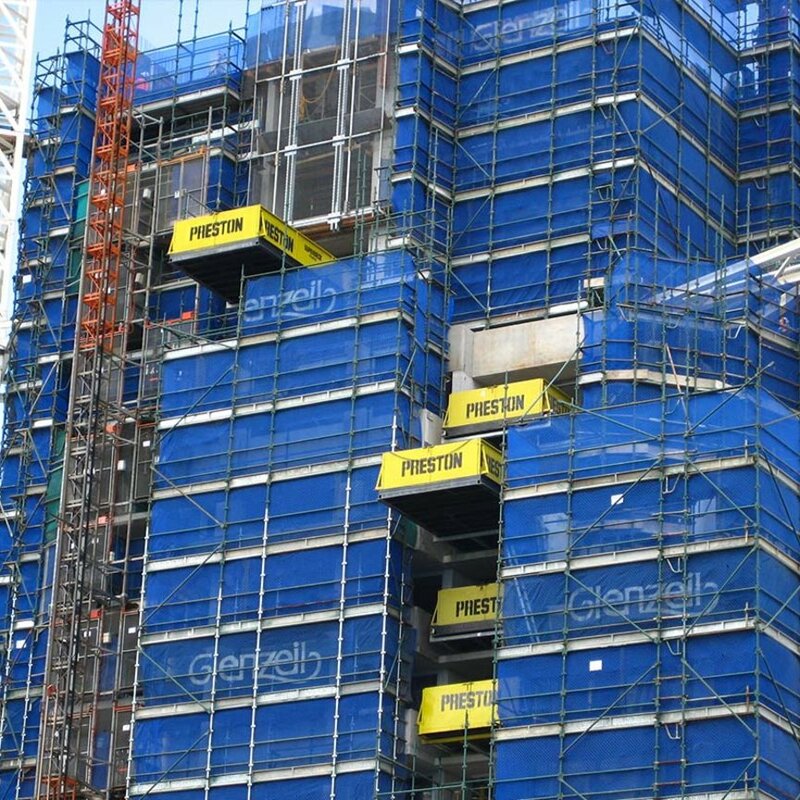 The SuperDeck™ is designed to simplify the handling of materials, particularly on multi-storey construction sites and to increase your safety and productivity on site while reducing labour and saving time and money. 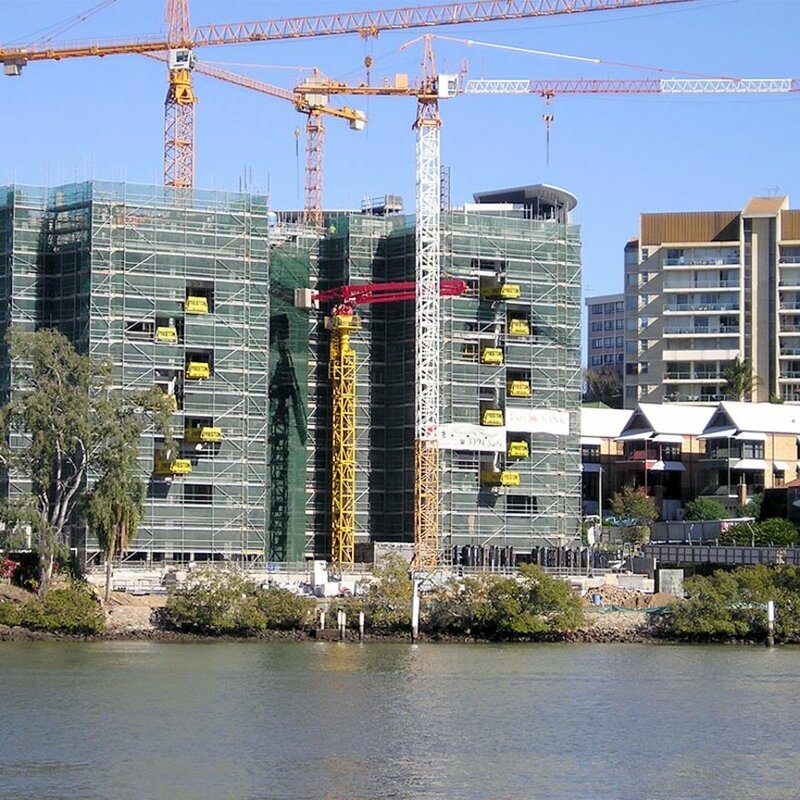 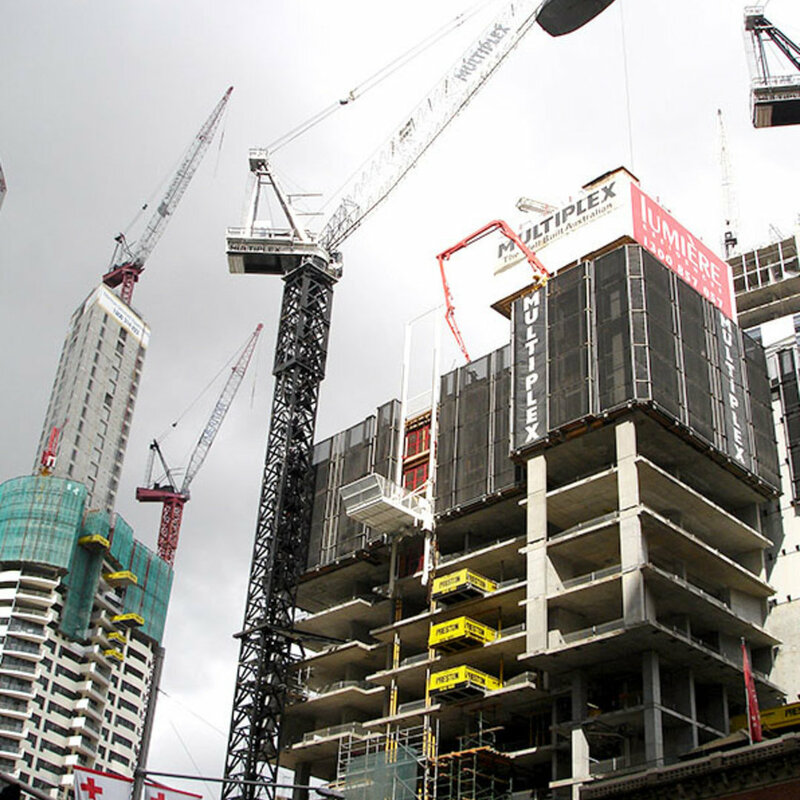 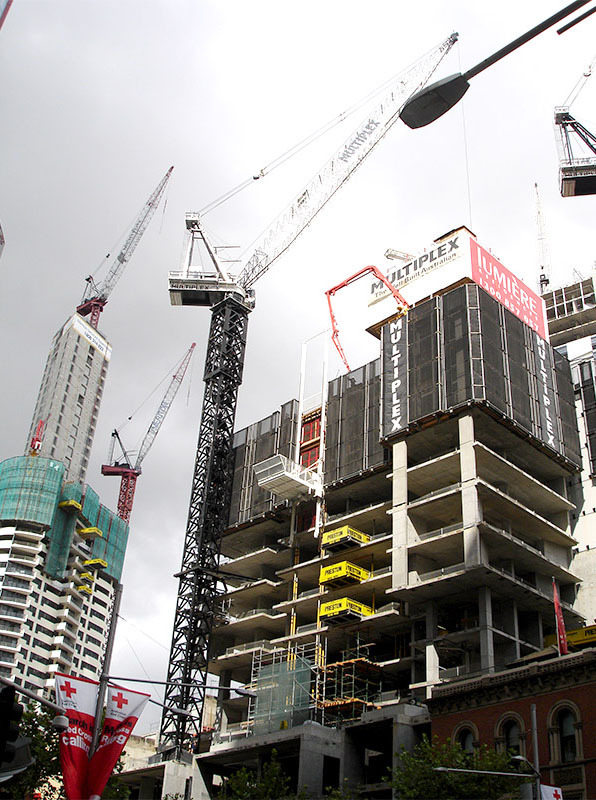 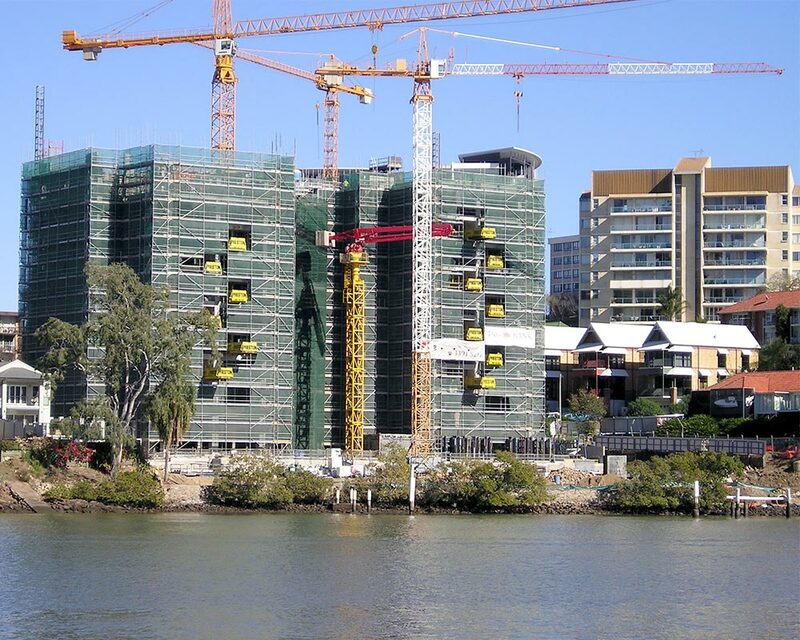 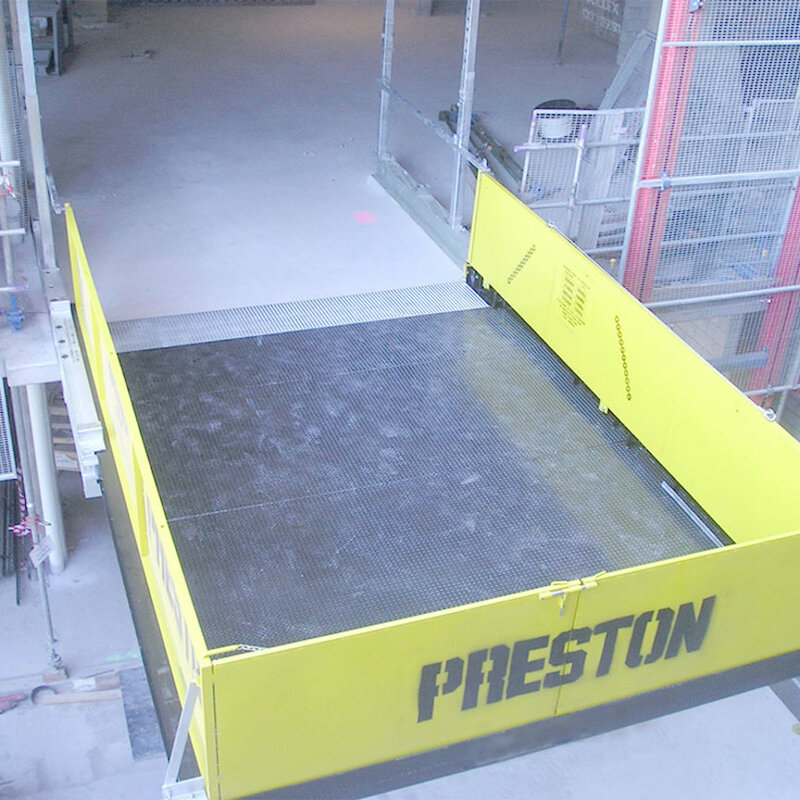 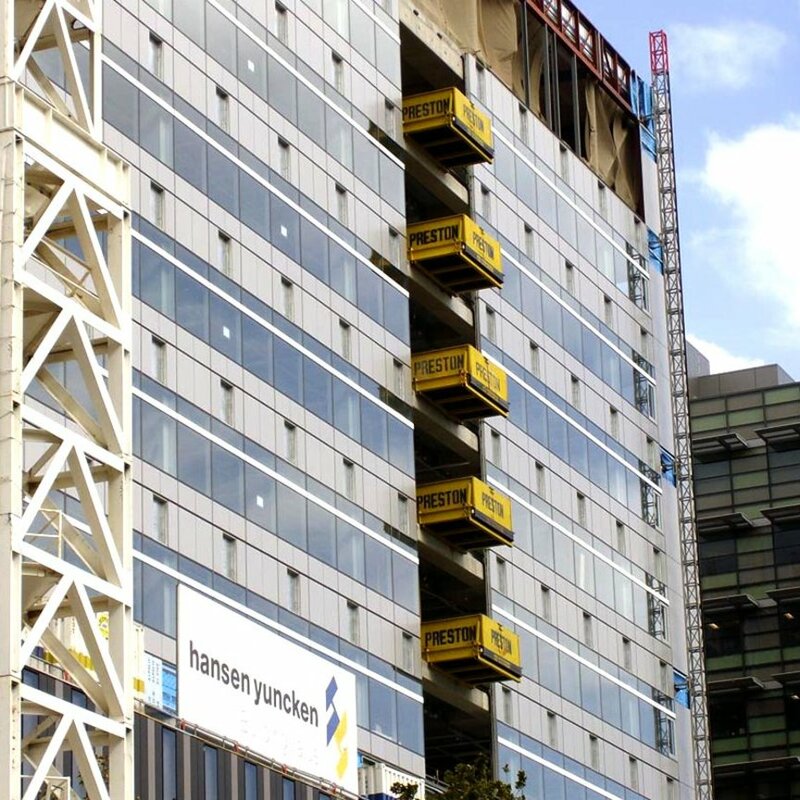 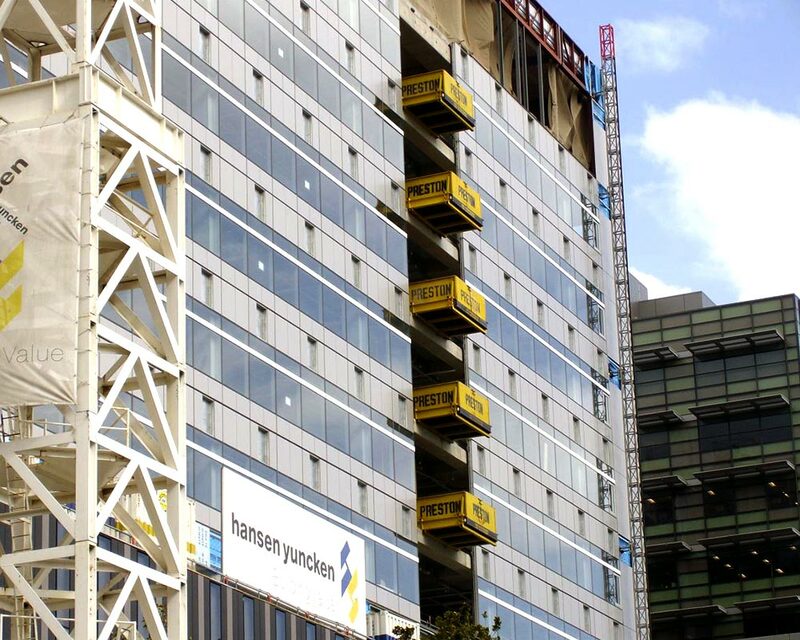 This revolutionary Preston innovation offers a ‘drawer-like’ loading platform system which has dramatically increased safety and reduced crane operation time for clients around the world. 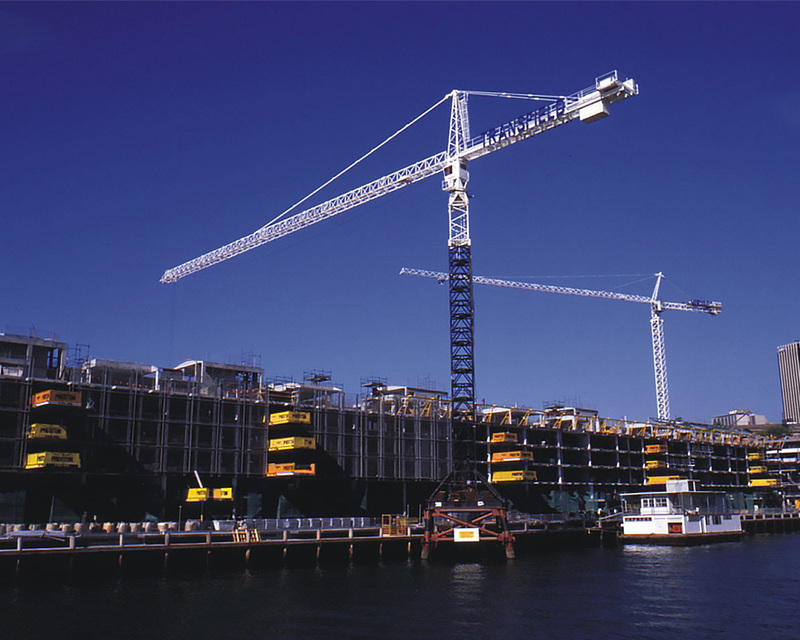 The SuperDeck™ is the world's leading loading deck system. 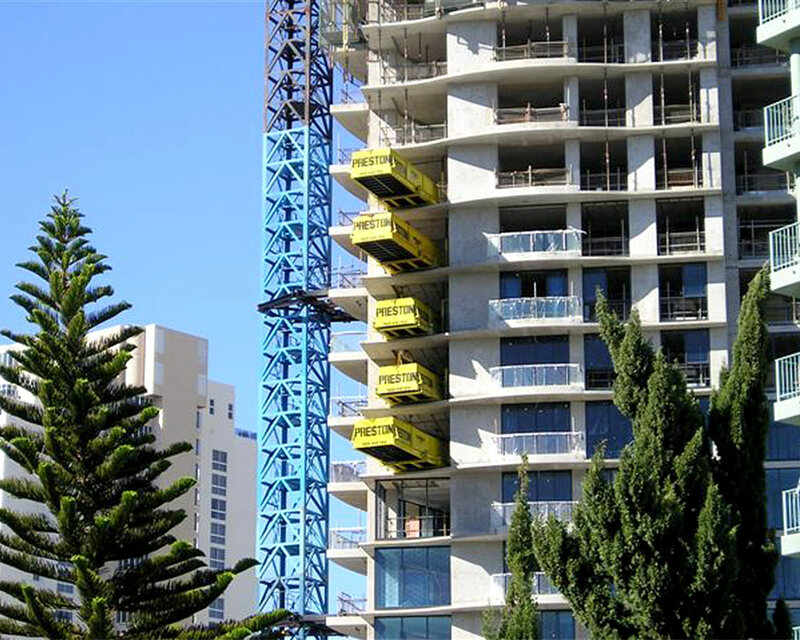 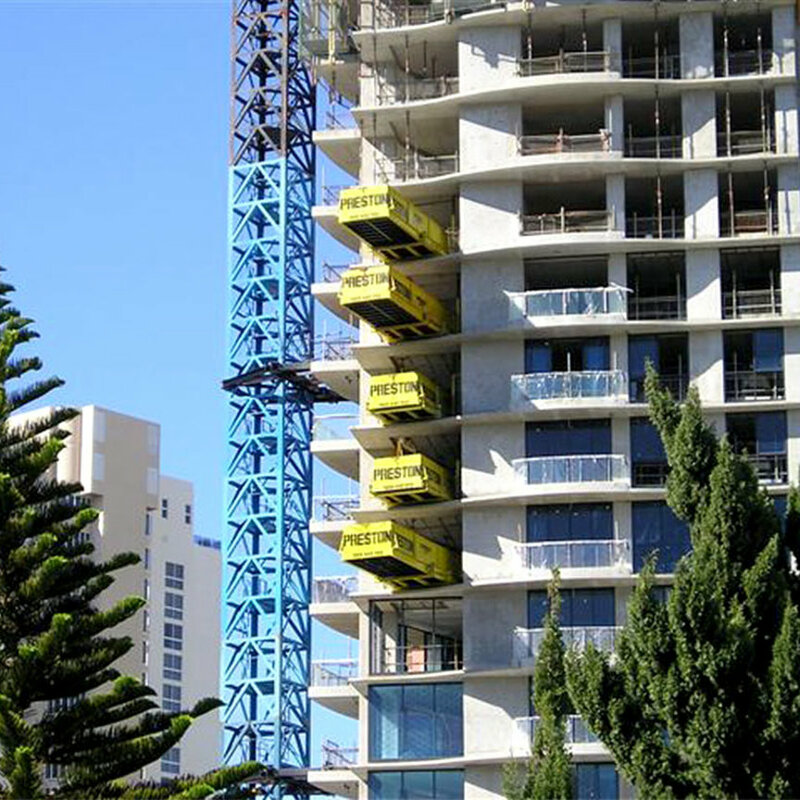 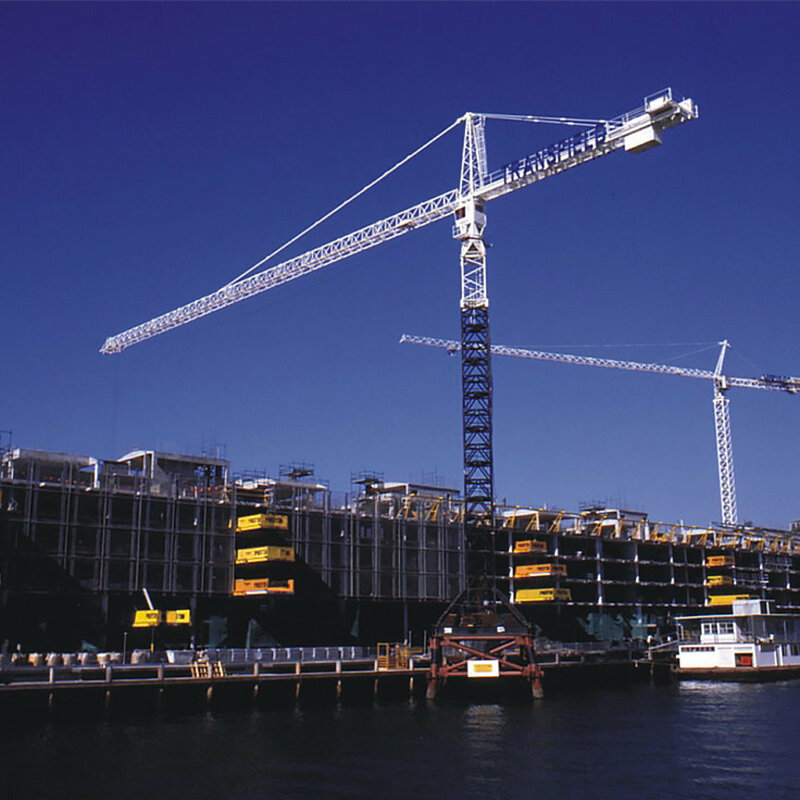 The SuperDeck™ has been the preferred choice on construction projects globally for almost two decades. 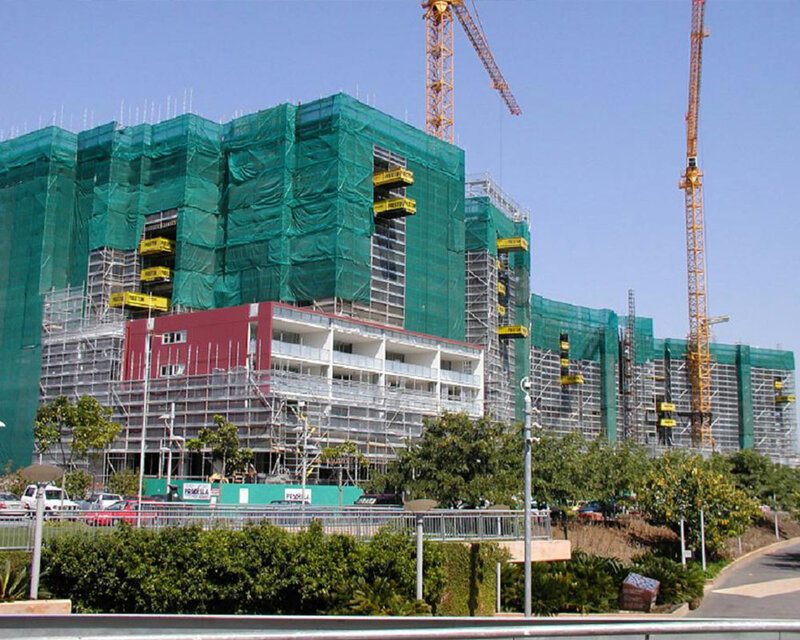 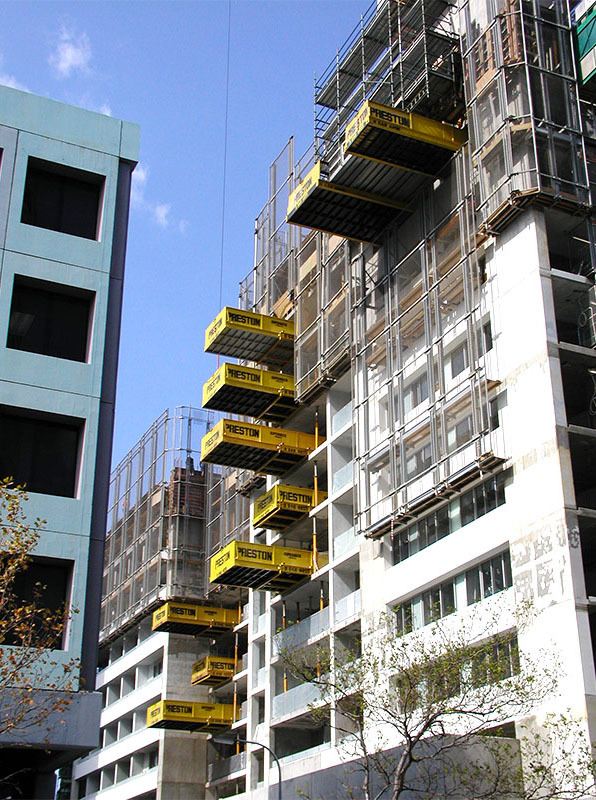 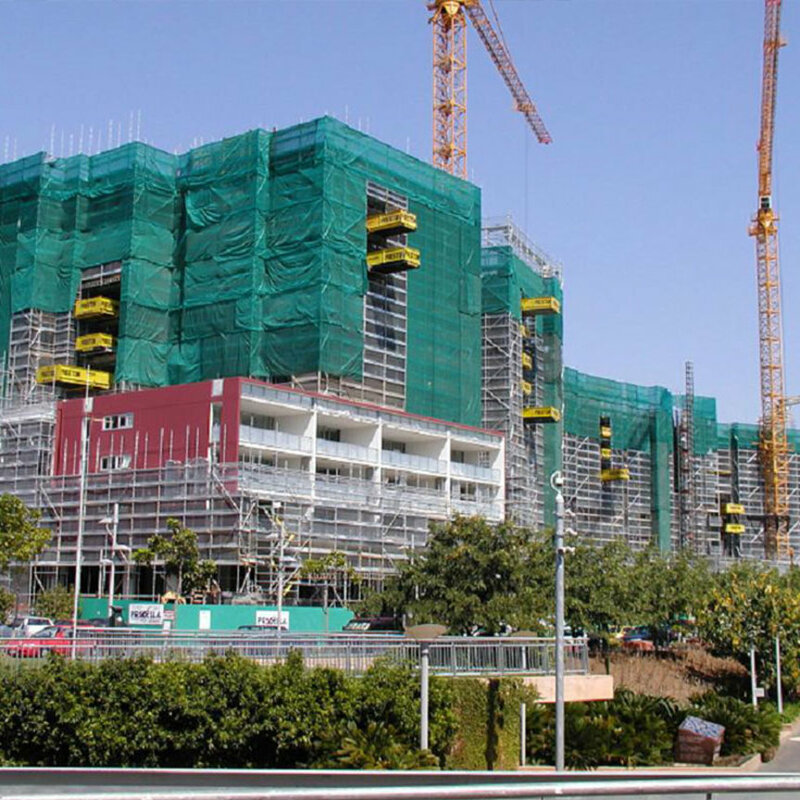 It is designed to simplify the handling of materials, particularly on multi-storey construction sites. 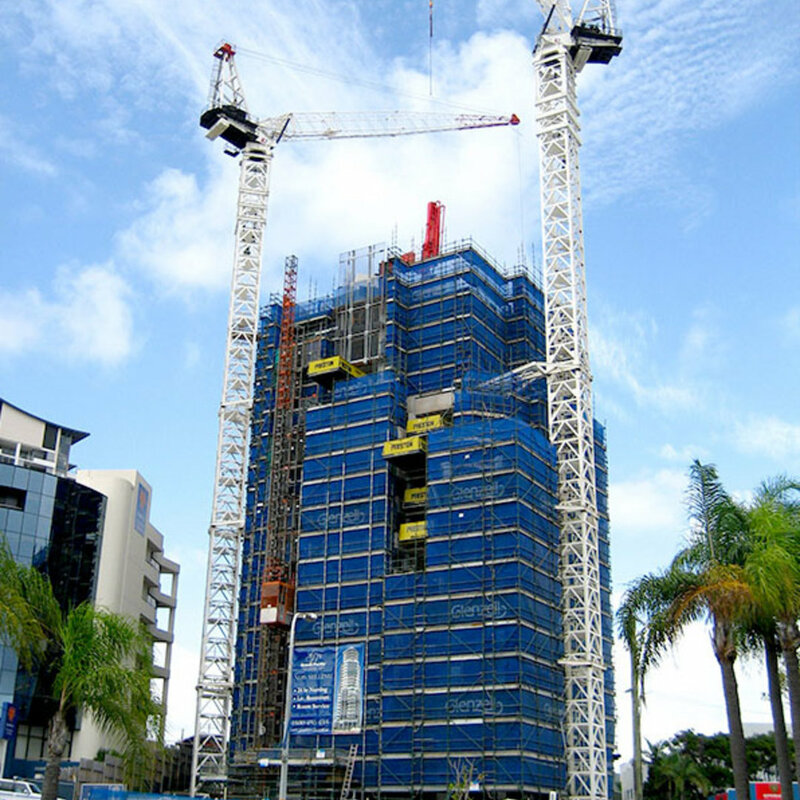 The SuperDeck™ has saved our clients time and money and has greatly increased safety and productivity. 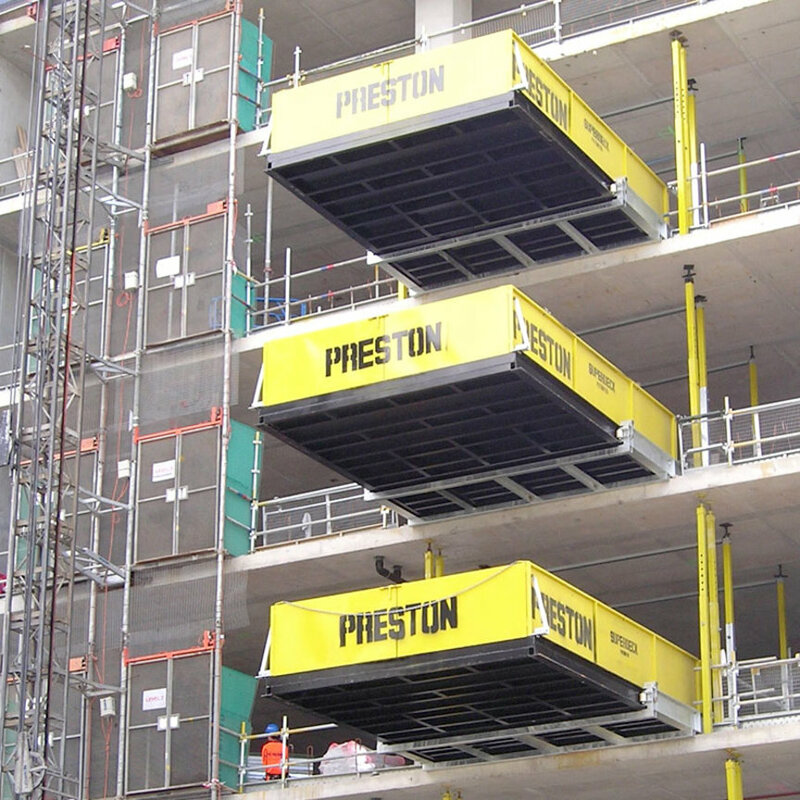 The SuperDeck™ loading platforms are fitted with fixed safety harness points to allow units to be vertically stacked and rolled in and out as required - as opposed to being staggered in the traditional deck configuration - which increases the efficiency of materials handling by minimising hindrance to crane ropes and loads for faster, safer and more cost-effective crane operation. 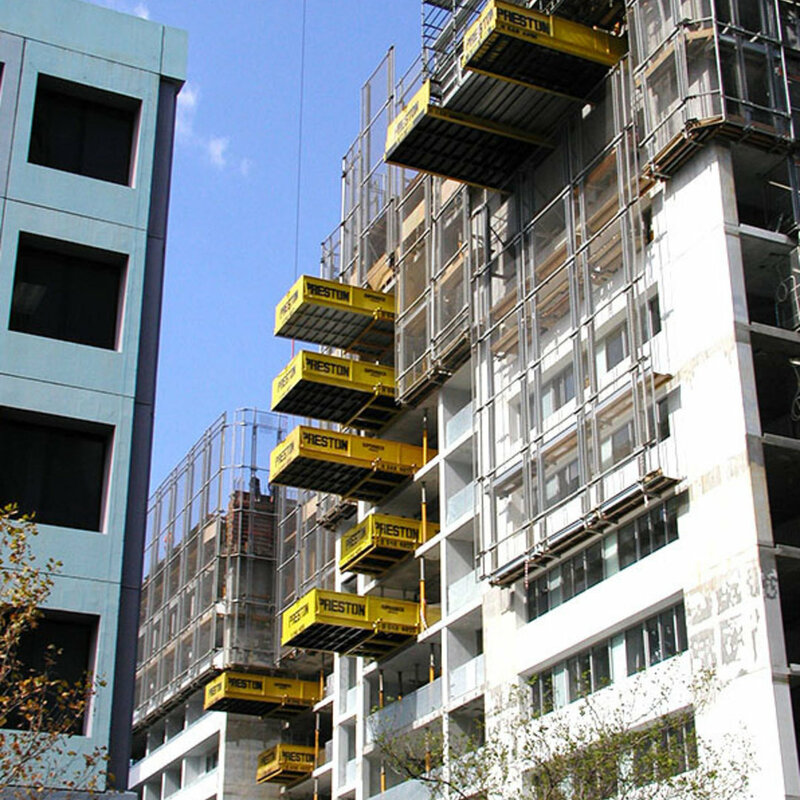 Extending from 4.5m to 5.25m out from the side of a building, SuperDecks™ can be extended or retracted by one person and are rated for a universally safe working load of 5 tonnes. 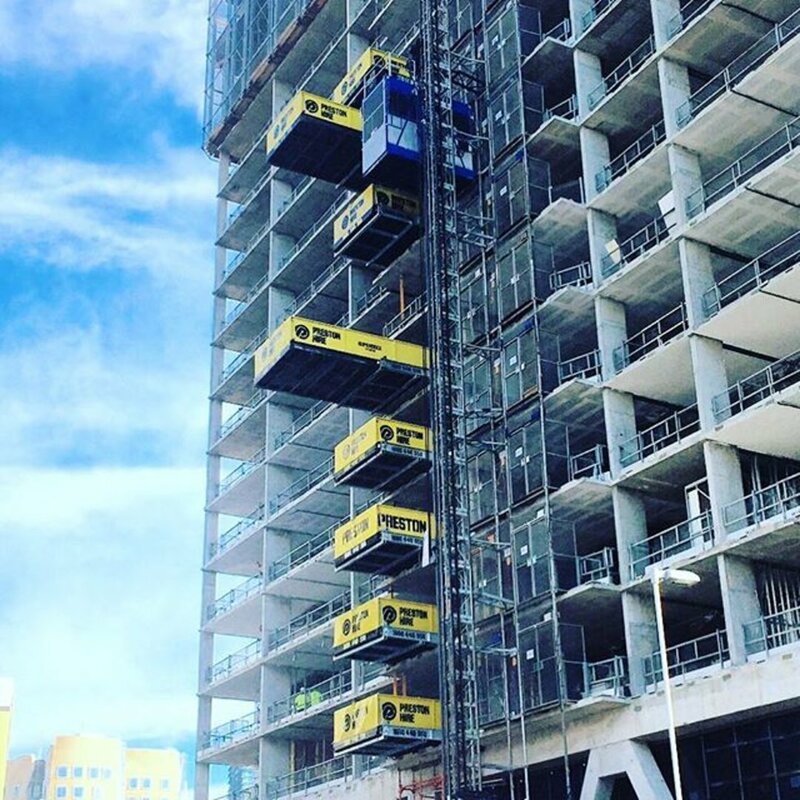 They also offer quicker installation and relocation times of approximately 15 minutes, compared to over one hour for conventional loading decks. 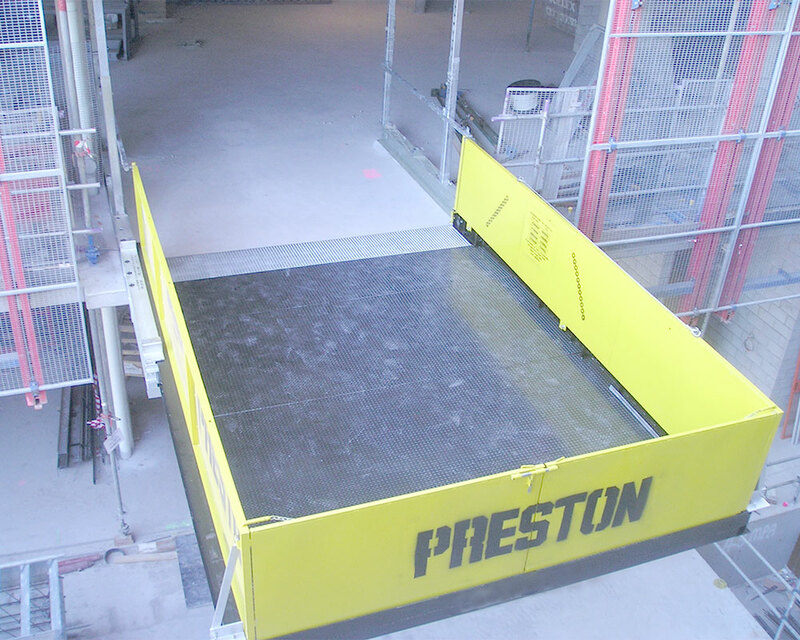 To further assist our clients, Preston also offers installation assistance of our SuperDeck™ product and will liaise with engineering partners to meet any special project requirements. 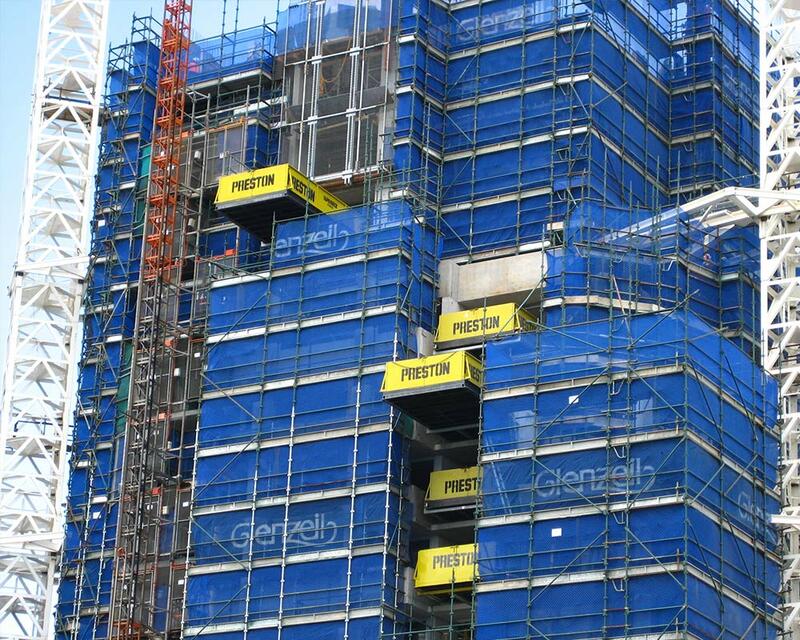 With over 40+ years experience working alongside leading construction industry companies, you can count on us to provide the assistance you need to get every project completed safely and efficiently. 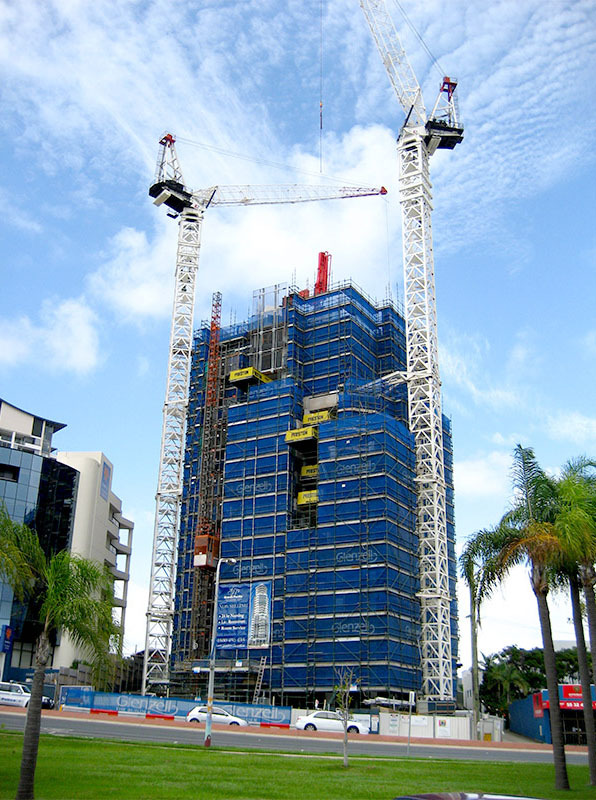 We understand the pressures faced in construction and we provide a service that simply gets your job done. 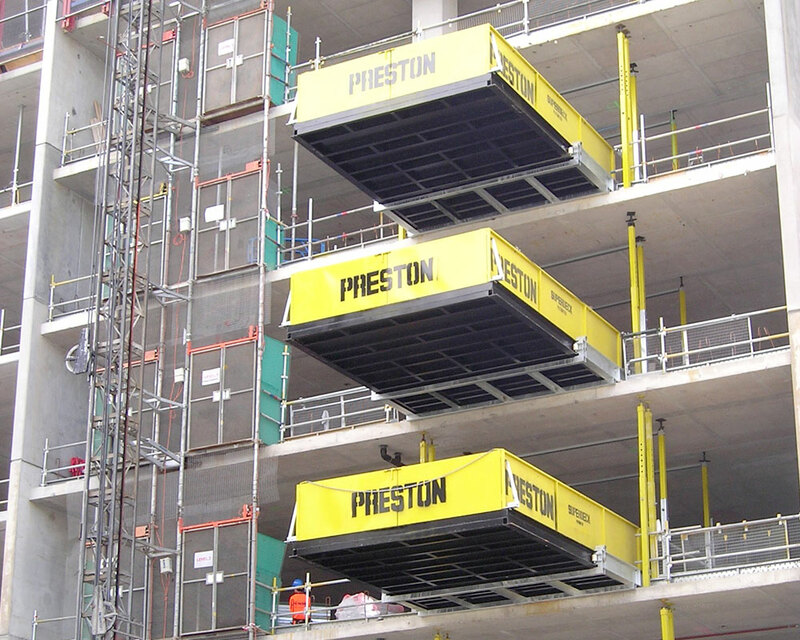 Through our global distribution network, Preston meets the needs of leading building and construction companies across the globe. The SuperDeck™ was invented in 1998 and today, 2015, we have developed SuperDeck II™ which incorproates a new concept for a loading platform.